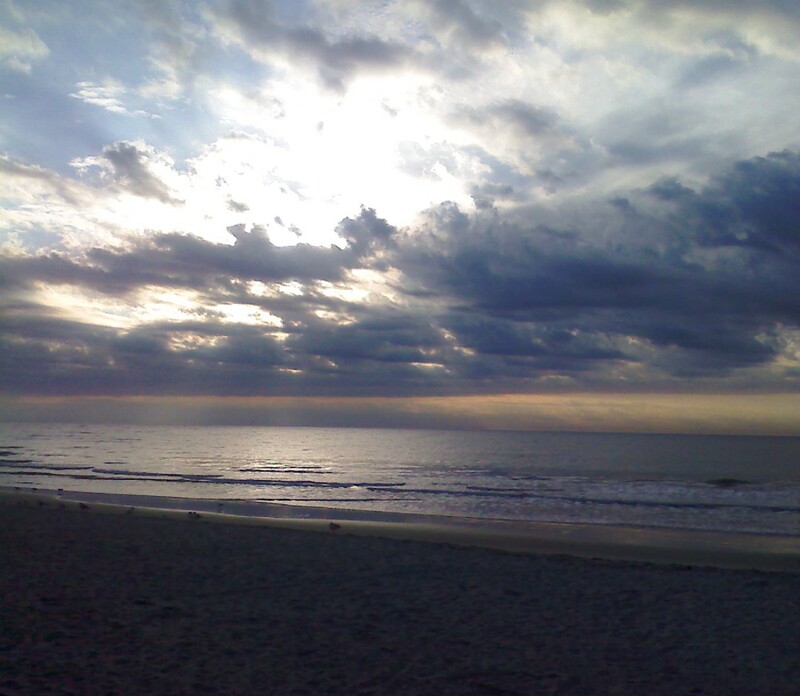 Stay Oceanfront in Myrtle Beach for the Winter! I still have a few oceanfront condos available for a winter rental in both Myrtle Beach and North Myrtle Beach! All have fully equipped kitchens, washer/dryer, and great oceanfront balconies! A few select ones have wireless internet and indoor pools! Give me a call and let me find you the perfect winter rental to escape the ice and snow of the north! Myrtle Beach Area Christmas Tree Lightings and Parades! Thought all of my snowbirds who are in town would enjoy going to the area's Christmas Tree Lightings and Parades! Southern Coast Vacations has a new winter rental property, Windsor Green 302-4970! This beautiful three bedroom condo has a fully equipped kitchen, washer/dryer, and a balcony which overlooks the golf course. Windsor Green is just a short drive to the Tanger Outlet Malls, Kroger grocery store, post office, and of course the beach! The Myrtle Beach Winter Rental Property of the Week is Riverwalk 301-694. New to our rental program, Riverwalk 301-694 is located on the desirable Arrowhead golf course and is available for a winter rental November-April! Riverwalk is the perfect place to winter as it has a fitness room, enclosed swimming pool, and is close to the Tanger Outlet Mall, local restaurants, and only a 10 minute drive to the beach! Winter Rental Property of the Week!! Just Available-Beautiful 2 bedroom oceanfront Myrtle Beach condo! Atlantica 653 is the perfect winter rental as it has a fully equipped kitchen, washer/dryer, and internet as well as a beautiful oceanfront balcony! Enjoy the indoor swimming pool and the new Boardwalk and Promenade is just a short distance down the beach! Pet Friendly Property of the Week! The Myrtle Beach Winter Rental Property of the Week is Tropical Escape! This beautiful 3 bedroom 2 1/2 bath raised beach house is located directly across the boulevard from the beach! Tropical Escape rents for $1100.00 a month including all utilities plus a one time fee to cover the departure clean and processing fees. 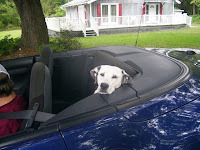 A small dog under 30 pounds is allowed with a $100.00 pet fee. Tropical Escape has a fully equipped kitchen, washer/dryer, and wireless internet! Located in the desirable Windy Hill section of North Myrtle Beach, Tropical Escape is close to shopping, local restaurants, and golf! Thank you for making Southern Coast Vacations your Myrtle Beach winter rental headquarters! North Myrtle Beach Winter Rental Property of the Week! The North Myrtle Beach Winter Rental Property of the Week is Harbor Cove 231! Located at the desirable Barefoot Resort, Harbor Cove 231 is a beautifully furnished 3 bedroom 3 bath condo which offers snowbirds all of the comforts of home. This luxurious condo features a sprawling master bedroom with a king size bed, seating area, and a large private bathroom as well as patio door access to the screened porch which overlooks the community swimming pool. Snowbirds will also love the extra large laundry room with a full size washer/dryer. Barefoot Resort is home to 3 public golf courses, Docksiders Grill overlooking the marina, a sports bar, and a golf store! 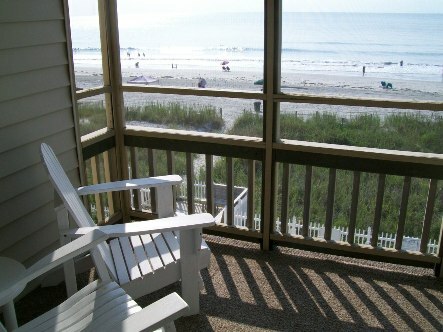 The North Myrtle Beach Winter Rental Property of the Week is Beach Club 6A. This oceanfront 4 bedroom condo is the perfect winter rental property for snowbirds who have friends and family visiting them over the holidays! The condo has a washer/dryer in the condo and a fully equipped kitchen. Located in the Windy Hill section of North Myrtle Beach, Beach Club 6A is a close drive to Barefoot Landing, the Myrtle Beach Mall, and the cinema. The Myrtle Beach Winter Rental Property of the Week is Riverwalk 301. Riverwalk 301 is a beautiful 2 bedroom 2 bath condo located at the Arrowhead Country Club home to the famous Raymond Floyd Signature Course! Riverwalk 301 is the perfect winter rental condo as it has a fully equipped kitchen, washer/dryer, and wireless internet as well as an enclosed swimming pool! The North Myrtle Beach Winter Rental Property of the Week is Crescent Sands K5! This beautiful 2 bedroom oceanfront condo is the perfect spot for a winter rental as it has a washer/dryer, fully equipped kitchen, and a beautiful oceanfront balcony accessible from both the living room and master bedroom. Call today for rates! The Winter rental property of the week is A Slice of Heaven! Located in Garden City, SC, A Slice of Heaven is a 3 bedroom 2 bath raised house that is just a 10 minute walk to the beach! The house is perfect for a winter rental as it has a fully equipped kitchen, washer/dryer, and is pet friendly (non-refundable pet fee $100.00) allowing one large dog under 60 pounds or 2 small dogs under 20 pounds! The house rents for $1000.00 a month with a one time fee of $230.00 that covers the departure clean and processing fees and includes all utilities. There is a 200.00 a month cap on the electric bill with the guest being responsible for any overage. Call Southern Coast Vacations for more information! The Myrtle Beach winter rental property of the week is Atlantica 802! This beautiful oceanfront condo has a fully equipped kitchen, internet, and a large oceanfront balcony! Guests of Atlantica 802 are allowed to use the indoor swimming pool and hot tub located in the Atlantica II building! Please call for pricing details on Atlantica 802! Winter Rental Property of the Week! 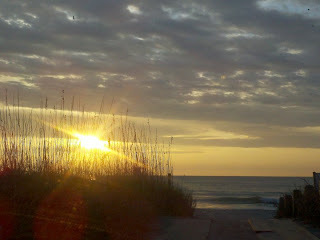 It may be hot outside but many of you are already making plans for your Myrtle Beach winter rental for the 2011-2012 season! 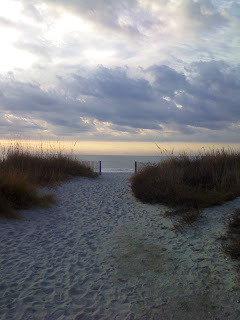 With that said it is time for me to start posting my Myrtle Beach Winter Rental Property of the Week again! The first Myrtle Beach winter rental property of the week if Riverwalk 301-679! Riverwalk 301-679 is new to the Southern Coast Vacation's winter rental program and offers guests a beautiful view of the highly desired Arrowhead golf course. Please e-mail or call me to find out more about spending your winter at Riverwalk 301-679! As many snowbirds are asking, I am reposting the Snowbird Questions and Answers! Shoveling snow, maneuvering icy roads, paying high heating bills? Escape the dreads of winter and come live at the beach with Southern Coast Vacations. While your neighbors are bundled up in 3 layers of clothing, you can be strolling down the beach or sitting on your oceanfront balcony with a good book in hand. For our repeat snowbirds, thank you for staying with us and feel free to call us anytime to book your stay again for next year. For the “rookie” snowbirds who are looking at wintering with us for your first time, ask yourself what are you looking for in a winter rental? Internet access, laundry facility, pets allowed? We offer all of this and more. Please read over the following commonly asked questions to assist you in your winter getaway. If you find that your question has not been addressed, please feel free to contact us. Where are your properties at? We have properties from as far north as Cherry Grove to as far south as Garden City. We have oceanfront condos, condos on golf courses, and townhomes and houses that are just a short walk to the beach. Do I have to pay all of my rent up front? If you are staying for one month, you will pay your rent, taxes, and fees upon booking. If you are staying for multiple months, you will pay your first months rent and fees upon booking. You will then pay your monthly rent prior to the first of each month. What are the benefits of staying for multiple months? Many of our homeowners offer a discount if you stay for multiple months. If you stay 90+ days you do not have to pay sales tax on your rent. We charge a one time departure cleaning/linen fee/reservation fee. The charge varies depending on the property.
. Kitchen towels are included but not dish clothes. 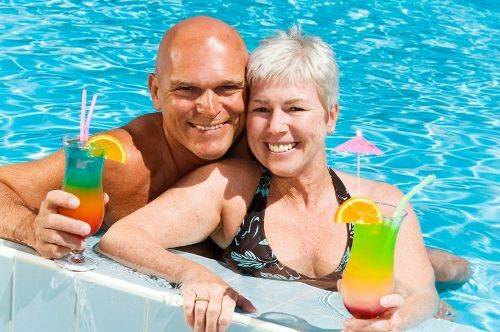 Snowbirds may bring their own sheets and towels or Southern Coast Vacations can provide them for $25.00 a bed. Do you have internet ? Many of our properties are equipped with internet service. Please let vacation specialist know if you will be needing internet service so that they can reserve the appropriate property for you. Will I have phone service? Many homeowners do provide local phone service for their guests. Long distance phone calls are not permitted. We have several dog friendly properties that are just a short walk to the beach. 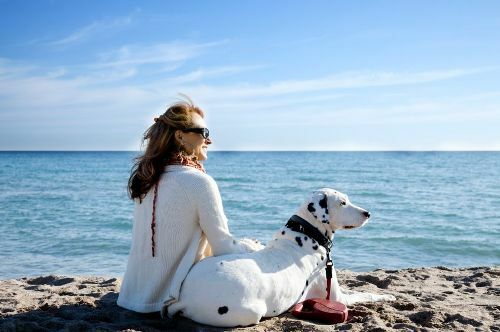 None of our oceanfront properties allow pets. Where will I get my mail? As our properties are all individually owned, we recommend that you rent a mailbox from the post office while you are here. The homeowners provide basic cookware for your stay. Dinnerware and silverware are also provided. Some units include wine glasses and extra cooking utensils but if there is something special you require, please bring it with you. 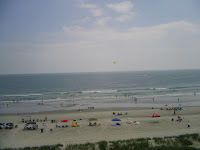 New to Myrtle Beach for 2011! Wanted to share a new attraction that is coming to Myrtle Beach that you will certainly want to try out when you come next winter for your snowbird retreat! The Myrtle Beach Sky Wheel will offer Myrtle Beach visitors a fantastic view of the Atlantic Ocean from it's fully enclosed gondolas with leather seating and glass floors! The 42 gondolas are climate controlled. The Sky Wheel will present nightly light shows with over 1 million LED lights! For those Myrtle Beach snowbirds who love gardening there is a great spring garden festival tomorrow at Brookgreen Gardens! There will speakers, demonstration tents,and learning labs from 10:00-3:00. All are free with the $12.00 admission fee! The admission ticket is a 7 day ticket so plan on visiting the gardens another day to view the sculptures, walk the featured exhibits and visit the nature walk zoo! To all of the wine and music lovers, be sure to check out the free Music and Bonfire Festival tomorrow at LaBelleAmie Winery! Grab a few of your snowbird friends and your chair and enjoy some great music and a glass of wine! I wanted to share a new project that Southern Coast Managment is working on that I am sure all of you will love! Everything Under The Sun Flea Market is an indoor flea market that will be opening April 1st in the old Food Lion Plaza off of 8th Ave North in North Myrtle Beach (just up the road from the Southern Coast Vacation's office). Everything Under The Sun Flea Market will be home to a multitude of vendors selling sterling silver jewelry, antiques, sports memorabilia, and farm produce just to name a few. The flea market will also have a food court! The Grand Strand Under Construction!!! Snowbird season isn't over yet, BUT Summer is slowly inching it's way around the bend! We know you Snowbirds enjoy "Snowbird" season here on the Grand Strand, but when you are ready to take the Grand kids for a Summer get-away, maybe you should consider coming back to the Grand Strand- we have some amazing attractions coming to our beautiful coast, here is just a tad of information on why YOU should come back for the Summer season!!! The first attraction that caught our attention, the $12 million dollar project that has started as a lot of digging and prodding, is slowly turning into a 200 foot high one of a kind glass enclosed "Skywheel". The first of it's kind in the United States the Skywheel will provide riders with a breath taking view of the coast from your own private gondola! Scheduled to open Memorial Weekend! Just below the skywheel the first ever Landshark Beachfront Bar and Grill is the newest oceanfront "Jimmy Buffet" project offering dining similar to that of Margaritaville, only in a more "laid-back" Buffet style atmosphere! Have you driven down Highway 17 while on your stay in Myrtle Beach and wondered what in the world that "thing" is that looks like an upside down building? Well, it's just that, Wonderworks- an upside down "amusement park for your mind". This attraction will includes over 100 hands on exhibits, games and mind puzzles! Everything from a bubble room, earthquake simulator, and lazer tag will be inside this interesting new structure! This attraction is set to open before you Snowbirds leave, in March! So be sure to check that one out! So Snowbirds, plan your trip with us now at Southern Coast and save money booking early, you wont want to miss these attractions! You won't be alone when it comes to feeling like a tourist visiting all the new exciting attractions, locals will be in the same boat stunned with amazement with all that the Grand Strand will have to offer! Take a Sneak Peak at this video for more details! We hope to hear from you soon Snowbird friends! Entertainment for Snowbirds and locals alike! 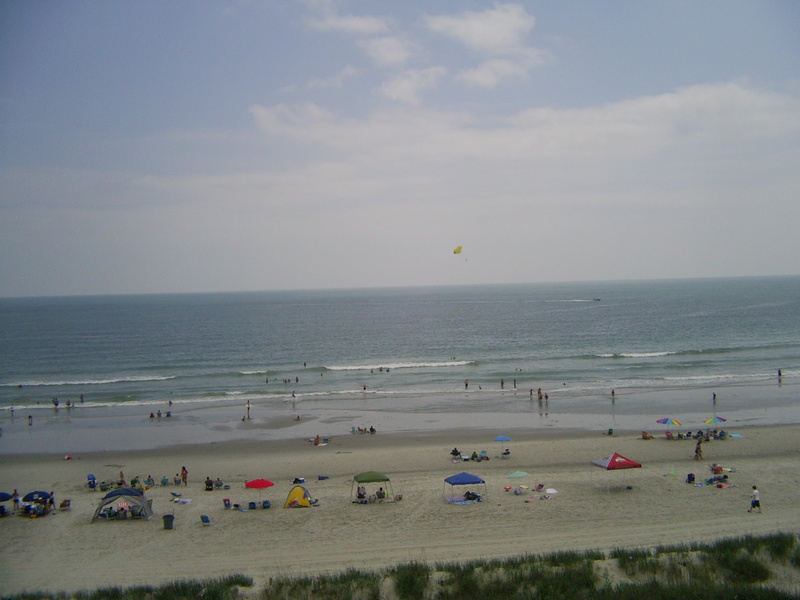 Hope you are enjoying this amazingly beautiful weather here on the North Myrtle Beach coast! Looks like that crazy groundhog just might have gotten it right this year predicting an early spring, we at Southern Coast encourage you to get out and soak in some vitamin D, but don't forget to check out the newest addition to theatres in the Myrtle Beach area! Legends in Concert will debut its new location at Broadway At The Beach on march 17! They have announced their new line-up and we think you Snowbirds will really enjoy some of the acts they have scheduled! The new venue is offering a tremendous line-up of Tribute artists such as; The Blues Brothers, Michael Jackson, Elvis Presley and Little Richard just to name a few. The 2 million dollar renovation is sure to wow with seating for 600 people and a light show to rival any on the coast! The general manager guarantees a "wonderful all-around show" so check out the new Legends Theatre and let us know what you think!!! As Elvis always said "Hubba Hubba" Snowbirds! Sarah Hodgson, YOUR vacation specialist! Hey Snowbird friends have you had a chance to go by La Belle Amie Vineyard in North Myrtle Beach? If not, you should clear your calendar for this weekend, this Saturday to be exact from noon until 5! The "Winter Parrot Head Festival" is simply one of the year's best events along the beautiful Grand Strand. Local wines, great live music Jimmy Buffet style along with some tasty outdoor cooking! Snowbirds, what better way to spend a Saturday? Come to La Belle Amie Vineyard to enjoy a vineyard tour at 2:30, hot spiced wine, wine samplings, a terrific gift shop, prizes and much more! Live music throughout the the day by the "Rum Punch Bandits" and "Laidback Larry and Ed Torres". The admission is $8.00-bring 2 canned/dry good items for local food banks and receive $3.00 off your admission! The food will be Hunt's Lexington style cooking along with some amazing Smokin' Pit BBQ! So Snowbirds, bring a chair, a good friend...or two and enjoy the company, the wine and the warmth of the Vineyard! The sunny forecast for this weekend will make this one festival you won't want to miss! For more information click on the link above- it will provide directions to the vineyard and their calendar of events in case you can't make it this Saturday! 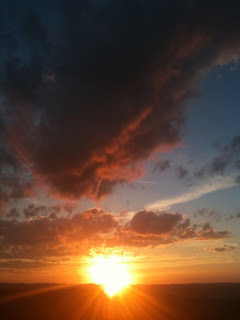 Have a wonderful weekend Snowbird Friends, enjoy soaking in the Vitamin D!!! Sarah at Southern Coast Vacations! We are having some absolutely AMAZING weather this week here on the Myrtle Beach coast! If you have not had a chance to experience Spring in February then you are missing out! 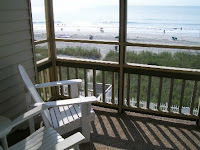 We have a beautiful property that is still available for a last minute get away, Blue Water Keyes in North Myrtle Beach! Cool ocean breezes, the smell of salt air, and the sounds of crashing waves will all be yours at Blue Water Keyes! These 2 bedroom ocean view condos are located in an oceanfront resort in the Crescent Beach section of North Myrtle Beach. Designed with an open floor plan, the condos have fully equipped kitchens, perfect for making a family dinner or for a quick beach snack. The condos sleep 6 with a king size bed in the master bedroom, a queen size bed in the guest bedroom, and a sleeper sofa in the living room. Blue Water Keyes is priced to go at $1200 for the entire month! This price is all inclusive and will get you in this property today! Don't miss out Snowbirds, this is a true Snowbird paradise, we all deserve a little peice of paradise right? Come enjoy the end of Winter and watch Spring roll in here on the beautiful coast of North Myrtle Beach! Thanks for making us your Snowbird headquarters! Sarah @ Southern Coast Vacations! Looking for something to keep you entertained while the weather is still fighting off the Winter chill? How about learning to "throw" pottery, or attending "the Night of Fire", maybe you would enjoy "Beach Combing Treasures!" 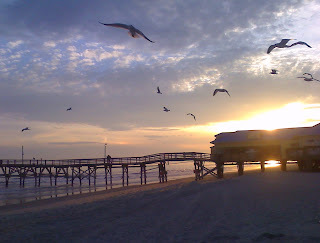 All these activities would entertain us and we hope all you Myrtle Beach Snowbirds find something right up your alley! Bluewater Pottery is a local favorite offering many different classes and events for anyone any age! They host a "Snowbird Throw" between 10Am and 6PM Monday through Friday. This class teaches the fine art of throwing exclusive high fired stone ware! If that isn't thrilling enough for you Snowbirds check out Blue Water Pottery on 2/19 for their "Night of Fire" where you get to select your own piece, paint with the glaze of your choice and toss it in the "fire" all while enjoying refreshments with your new friends! Check out their website for more information. February 12 check out Myrtle Beach State Park for "Beach Combing Treasures" from 10-11. Stroll down the beach while you learn about seashells, ghost crabs, sea turtles, sand dunes and anything else that crosses your path! Make sure and wear comfortable shoes you don't mind getting wet! If you enjoy learning about our beautiful coast then be sure to journey back to the MB State Park for "The Dynamic Coast" on February 16th to learn all about the tides and what variables affect our ever changing coast line! For cost and times check out their website! There is a little something for all you Snowbirds so enjoy! River Oaks 31 C is a beautiful 2 bedroom condo available for rent the month of March for only $1200 total!!! This golfer's paradise is located on the popular River Oaks Golf and Tennis Plantation in Myrtle Beach and is centrally located to the airport, TONS of shopping, endless restaurants all the while providing seclusion for any Snowbird as you drive over the Intracoastal Waterway to your Winter getaway! This property has somehow slipped right past our Snowbirds allowing us at Southern Coast Vacations to offer a fantastic price on this last minute Snowbirding stow-away! Downtown Myrtle Beach only a mere 7 minute drive and the Myrtle Beach Airport less then 5 minutes away, this is a prime location for ANY Snowbird, avid golfer or tennis player! This condo has a fully furnished kitchen, a washer and dryer, screened in porch and indoor pool...what else could you ask for? River Oaks 31C will be your new home away from home! Thanks for letting us at Southern Coast help YOU find the perfect Winter Rental! We at Southern Coast sure are glad that the weather has decided to warm up for all you Myrtle Beach Snowbirds! Now that you can get out a little and enjoy the sunshine we thought we would fill you in on a few things going on in the area! February 9 Elizabeth Gilbert, author of "Eat, Pray Love" will be at the Pawleys Island Community Church to talk about her new book "Committed." She will be speaking to all attendees as well as doing a book signing! The movie "Eat, Pray Love" featuring Julia Roberts was a box office hit-if you haven't had a chance to see it yet you should check it out! The book was an International best seller and sold over 10 million copies worldwide!The review of her new book "Committed" stated that it is "a rich brew of new found insight and wisdom." Tickets are $5 Click here to purchase your tickets. February 12 The 3rd annual "Shuckin' on the Strand Oyster Roast." It will be held at the Hot Fish Club in Murrells Inlet. Tickets are $20 and include ALL YOU CAN EAT oysters and side dishes! Snowbirds, you HAVE to eat oysters while on vacation, it is a law here in Myrtle Beach! The tickets are pre-sale ONLY so click here to purchase! We still have the perfect rental for a Snowbird the month of March! There is still time for you Snowbirds to get out from under all that snow and come enjoy the sunshine here on the BEAUTIFUL Grand Strand! We have an absolutely amazing oceanfront condo that is still available for March-this condo is perfect for you Snowbirds!! A last minute cancellation left this property vacant just for you! We have even found a flight to Myrtle Beach for only $99.00! Now, Snowbirds- why would you not take advantage of deals like this? Imagine sitting on your private balcony overlooking the sparkling Atlantic Ocean watching the tide roll in all while admiring a beautiful orange and yellow sunset...We at Southern Coast Vacations think it's time you take that vacation you have been dreaming about! The Atlantica 1157 is a 2 bedroom 2 bath condo with a fully equipped kitchen, beautifully appointed furnishings, indoor and outdoor pool, lazy river and hot tub! Centrally located to all of Myrtle Beach's great attractions and restaurants, Atlantica 1157 is just a short drive to Broadway at the Beach and to the Market Commons shopping area. The cost of this oceanfront paradise is $1276.90- this includes everything, you just bring your own linens and we supply a relaxing vacation! Atlantica 1157 -this will give you all the details on this amazing condo! We hope you call us and book your get away soon- this one is priced to go! I wanted to share an event that is going on Feb. 12th in Conway, The Conway Chocolate Walk! The historic town of Conway is taking reservations on line for the walk which starts at 11:00 and ends at 3:00. There are over 20 shops and restaurants participating in the chocolate walk and the cost is only $8.00 a person. Be sure and take a "doggie bag" with you to bring home the extras!! For those snowbirds who have never been to Conway, I definitely recommend the short drive out to one of the most beautiful towns in the Myrtle Beach area. Conway has a beautiful park with a riverwalk that runs along the Waccamaw River and a great downtown area that is home to unique shops and fantastic restaurants-my favorite is Rivertown Bistro! And be sure to stop in The Trestle for a loaf of homemade sourdough bread to take home with you! What better way to spend Valentine's Day...than with a bunch of SHARKS!!! Snowbird friends, imagine this; you and your loved one enjoying a romantic dimly lit dinner while Sand Tiger Sharks, Manta Rays and giant fish surround you swimming the night away! Sounds pretty amazing- so we thought you Myrtle Beach Snowbirds might enjoy spending your Valentine's Day in the Ripley's Aquarium "Tunnel of Love." The "Tunnel of Love" is situated inside a 340 foot acrylic tunnel that will literally bring you face to face with some beautiful and even frightening species of fish, sharks and turtles! Tables will be set up inside the tunnel for Valentine's Day awaiting those lucky enough to score reservations-as they do have a limited # of tables available. The cost is $75 per couple and includes an open bar, menu, souvenir rose, tax, gratuity and admission to the aquarium- not a bad deal considering the $18 per person price tag that allows general admission only to the aquarium! So Myrtle Beach Snowbirds, you are here on the beautiful coast to experience all of the wonders that define the Myrtle Beach area-why not spend Valentine's Day face to face with some of Nature's most intriguing creatures? Call Ripley's Aquarium today to make your reservation! Check out their website for more information on the aquarium and it's phenomenal exhibits. Have an amazing Valentine's Day Snowbird Friends! "Freezin' For a Reason"--Will YOU take the plunge? If you are out and about on February 5th you will have to take a trip to Springmaid Pier in Myrtle Beach to watch some VERY brave "plungers" taking a dip in the icy Atlantic Ocean! Who would participate in such a crazy event- well Myrtle Beach Snowbirds, they are expecting a turn out of around 700 people! These 700 brave individuals are "freezin' for a reason" as the money raised from this event will benefit the Special Olympics organization in South Carolina. Myrtle Beach Snowbirds, are you up for taking the plunge? If you are brave enough to battle the chilly Atlantic you can register online- if you think the cold might be a little more than you can stand, at least go and watch the hundreds of people all freezin' for a GREAT reason and raising around $100,000!!! This year's event starts at 11AM with the "early plunge". After that- the fun begins with a costume contest parade, food vendors, relay races and at 2PM the "big plunge"! So clear your calendars for February 5th Snowbirds and partake in an annual Myrtle Beach gathering for a great cause! Whether you are "plunging" or participating in the warmer activities, "Freezin for a Reason" is an event that will entertain all ages-hope to see you there- but don't count on me being in the water! Still shoveling snow and sliding around on the icy roads? It's not too late to be on your beach chair for the month of March in Myrtle Beach!! I have a beautiful 2 bedroom 2 bath oceanfront condo available at Crescent Beach Villas for only $1300.00 including all sales taxes, departure clean, and fees! The condo has all of the comforts of home with a fully equipped kitchen, washer/dryer, wireless internet, and a wonderful screened in porch which overlooks the Atlantic Ocean. For more details send me an e-mail or give me a call during business hours. Are you a Myrtle Beach snowbird who loves oysters and live music? If so, you won't want to miss out on The Market Common Winter Oyster Roast this Saturday, January 22nd! Myrtle Beach's largest oyster roast will be held at Valor Park in The Market Commons from 11:00-5:30. The Paul Grimshaw Band and Mystic Vibrations will be the entertainment to this free event. Oysters will be sold by the bucket, you may bring your own oyster knife or buy one for $5.00. For more details visit MarketCommons.com. Now that we have all thawed out from our "snow" days here on the Grand Strand, we are looking at a much nicer AND warmer weekend here on the Myrtle Beach coast! Saturday and Sunday the high's will be into the 50's-so break out a jacket and enjoy some sunshine...at a castle! I mean, who doesn't enjoy a leisurely stroll through a castle? Snowbirds, schedule yourself a few hours to enjoy this activity- it is sure to be an unforgettable experience and don't forget your camera! The Atalaya Castle at Hutington Beach State Park is not only a National Historic Landmark, the castle was built by Archer Milton Huntington architect and husband of sculptress Anna Hyatt Huntington as a Winter home and Art studio. Archer modeled the couple's home in the style of the "Moorish" architecture of the Spanish Mediterranean coast. Construction began on the home the Winter of 1930 and took many years to complete as there was never a detailed plan for the building of this massive home. Mr Huntington, wanting to provide work opportunities for local residents during the Great Depression insisted that only local labor be utilized in the home's construction. This amazing castle's living areas consist of 30 rooms-everything from a 40 foot tower to a studio with a 25 foot skylight! After Mr. Huntington's death in 1955 the furnishings were transported to their home in New York. Lucky for you Snowbirds, the castle still stands on the beautiful coastline and is available for you to tour! If you get the chance to travel to Murrell's Inlet, be sure to view this amazing castle! Take some pictures while you are there for us, we would love to see and hear what you think about this treasured landmark! Have a wonderful weekend Myrtle Beach Snowbirds! A Meet and Greet just for you Myrtle Beach Snowbirds! 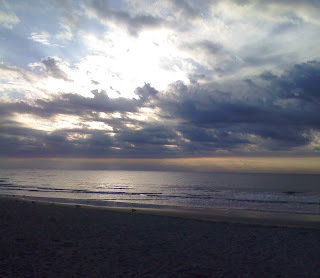 Coming to Myrtle Beach to escape the cold and snow has been a tradition for years upon years in Myrtle Beach. One of the best things about being a Snowbird (besides being on such a beautiful beach, in an oceanfront property, with not a care in the world!) is meeting new people and making memories with strangers and neighbors that quickly turn into life-long friends! 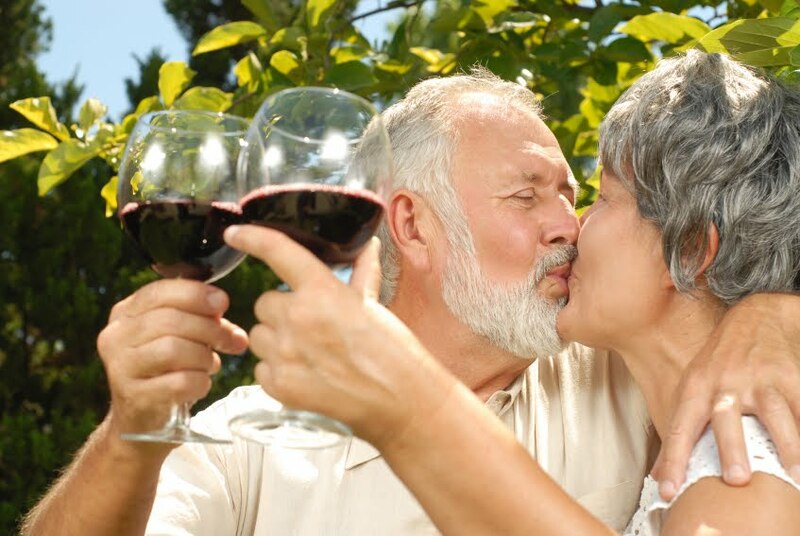 The North Myrtle Beach Chamber of Commerce is holding an event just for Snowbirds on Valentine's day, Feb 14th from 2-4 called "We love our Snowbirds reception". This is basically a "meet and greet" for Snowbirds to mingle with others that share the same common interest...Myrtle Beach! This event will be held at Barefoot Community Church, 701 Main Street in North Myrtle Beach! I hope that some of you Snowbirds can make it to the event- I am sure you will make plenty of new friends and you can share your Snowbird secrets with each other! You might hear about a restaurant you have never heard of and "VOILA" you have a new favorite spot! Wireless Internet! Fully Equipped Kitchen! Washer/Dryer! On-site Parking Garage! Fitness Room! Indoor Hot Tub! So if you are sitting in your house waiting to be plowed out by the snowtruck, why not come on down to Myrtle Beach, South Carolina and look at the beautiful ocean instead!! Thank you for choosing Southern Coast Vacations as your Myrtle Beach winter headquarters. Shaggers from across the nation gather in North Myrtle Beach for various competitions, events workshops, and anything Shag related! There are a variety of ages at all events-some even catering to the younger crowd such as Junior SOS competitions. All SOS events have a few key components; lots of music, tons of fun people, dancing in the streets (Main street in North Myrtle Beach particularly) workshops-they even have a "Shagging for Dummies" class! SOS events are truly one of a kind and anyone any age, dancing or just watching are sure to be entertained! This years Mid-Winter Fling will be from January 13-17. The celebration kicks off January 12 at 8 PM with some good Southern food at Fat Harolds in North Myrtle Beach (truly a "landmark" for ALL Shaggers!) Several live bands will perform including The Craig Woolard Band, Sea Cruz and Castaways. So Myrtle Beach Snowbirds, if you are tired of the cold weather and want to dance, (or learn to dance) make new friends and just have a good time head to North Myrtle Beach. Don't forget to bring your SOS membership card to gain entry into the best Shag clubs. Don't have one? Well go to http://www.shagdance.com/ to get one- or just wait and pick one up when you arrive! Snowbirds this is an event you won't want to miss! Hope you all get top enjoy what has come to be the official state dance of South Carolina! Southern Coast Vacations is partnering with Golf Packages of the Carolinas to provide Myrtle Beach golfers lodging/golf packages at excellent deals! 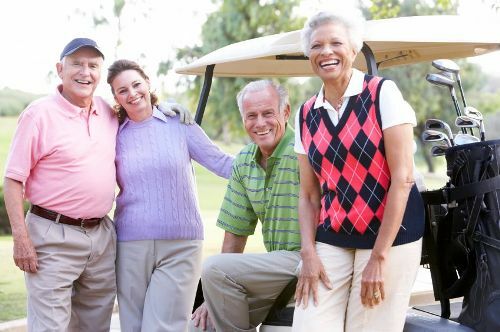 For those snowbirds who are wintering with us, you can be a part of this as well as Golf Packages of the Carolinas offers golf packages without lodging! Simply give Golf Packages of the Carolinas a call and let them know that you are a guest with Southern Coast Vacations who just needs to book tee times-they will do the rest! For those Myrtle Beach Snowbirds who love history be sure and check out the Winter Cemetery Tours at Brookgreen Gardens! "Silent Cities, a winter event for Brookgreen Gardens, will be open Sunday at noon and will run through March 3. The garden invites visitors to explore some of its cemeteries and hear about the historical burial customs of European and African origins. Silent Cities is a two-hour excursion and tickets are $15 in addition to garden admission and must be purchased at Keepsakes at least ten minutes before departure. Reservations are suggested, please call (843) 235-6042. So, you are here on the beautiful Grand Strand enjoying your Myrtle Beach Winter Rental, but you can't seem to get rid of the sniffles? Well, eat a few "power-foods" a very simple solution to make a difference in your health and immunity! Simply enjoying a sweet potato or a little yogurt with granola can actually boost your immunity-easy enough huh Snowbirds? The end result you ask- Less sneezing into your sleeve and more enjoying your Myrtle Beach Winter Rental! So stop scrubbing your hands raw and using Purell until you have no moisture left in your body- simply eat a few "power-foods" and get that immunity up and running! Probiotics (the live active cultures) found in yogurt, are a healthy bacteria that keep the stomach and intestinal tract free of disease-causing germs. Although they're available in supplement form, a study from the University of Vienna in Austria found that a daily 7-ounce dose of yogurt was just as effective in boosting immunity as popping your daily vitamins! Any and all yogurts with a Live and Active Cultures seal contain beneficial bugs, but Stonyfield Farm is the only U.S. brand that contains the specific strain of cultures that make a significant difference in your immunity! These yummy grains contain beta-glucan, a type of fiber with antimicrobial and antioxidant capabilities more potent than echinacea! Oats and Barley in the right amount boost immunity, speed up wound healing, and may help antibiotics work better. Selenium is plentiful in shellfish such as oysters, lobsters, crabs, and clams. It helps white blood cells produce the necessary proteins to help clear flu viruses out of the body. Salmon, mackerel, and herring are rich in omega-3 fats, which reduce inflammation, increasing airflow and protecting lungs from colds and respiratory infections. Your optimal dose: Two servings a week. So snowbird friends, tonight while you are out grabbing a bite to eat- order fish, or maybe enjoy some mushrooms-all the while making your immune system stronger and allowing you to enjoy your stay in the Grand Strand quite a bit more! We all know that having a cold on vacation is the worst! There are many more "super foods" in the article listed below. So please Myrtle Beach Snowbirds have a fantastic stay with us here on the beautiful SC coast and stay healthy without even realizing that the food you eat everyday will help you walk the path to a great vacation- without the sniffles that is! Hope you are all enjoying your Winter getaway with us on the beautiful coast here in Myrtle Beach! Have dinner plans set for your stay? Well Snowbirds, you might need to do some "re-arranging" to enjoy great food at discounted pricing! For the second year in a row Myrtle Beach is participating in the statewide event known as "Restaurant Week" allowing locals and Snowbirds alike to enjoy 9 days worth of dining on good ol' South Carolina cuisine for a little less pocket change! Happy dining to all you Myrtle Beach Snowbirds! For those snowbirds looking for some places to work out, check out the list of Myrtle Beach/North Myrtle Beach recreation/fitness centers that The Sun News published in their Kicks section on Friday. Myrtle Beach recreation centers. Info for Pepper Geddings at 918-2280, Crabtree Gym at 918-2355. Volleyball | 1-3 p.m. Mondays and Wednesdays at Crabtree Memorial Gymnasium, and Tuesdays and Thursdays at Pepper Geddings. Pickleball | 1-3 p.m. Mondays and Wednesdays, and 10 a.m.-1 p.m. Tuesdays, Thursdays and Fridays, all at Crabtree Gym; and 9 a.m.-noon Mondays and Wednesdays, and for beginners, 10 a.m.-noon Fridays, at Pepper Geddings. Tennis | 11 a.m.-1 p.m. Mondays and Wednesdays at Tennis Center; 918-2440.